If you’re a Canadian citizen and are interested in sponsoring your partner into Canada, you’ll need to have some important information and follow a particular process. First, let’s look at who is eligible to apply. Who Can Apply for Partner Sponsorship in Canada? ● You must be a Canadian citizen, registered under the Canadian Indian Act, or a permanent resident. ● You must be at least 18 years old. 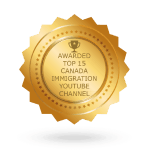 ● You must be residing in Canada if you are a permanent resident. 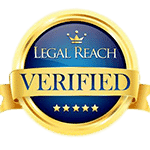 ● You have to prove that you have the financial means to provide for a partner and any dependent children. ● You were sponsored and became a permanent resident less than five years ago. ● You have already sponsored a partner less than three years ago. ● You are in a default status in regards to a previous spousal sponsorship, an immigration loan, a performance bond, or payments for family support. ● You are currently in a bankruptcy proceeding. ● You are a recipient of social assistance for anything other than a disability. ● You have been convicted of a violent or sexual offense, an act that caused bodily harm to a relative, or threatening any of these offenses. ● You are in jail, prison, or a reformatory. ● You are subject to a removal order. ● You have already applied for a spousal sponsorship that hasn’t been decided upon yet. ● The partner who is already a Canadian citizen applies to become a sponsor. ● After the sponsorship approval is obtained, the non-Canadian partner applies for permanent residence based on this sponsorship. Communication with the immigration authorities is generally written, though a face-to-face interview could be required. The process of partner sponsorship in Canada can be difficult and confusing. 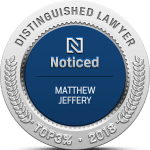 Obtaining the help of a qualified lawyer may be your best bet to make sure that you don’t make a mistake that could cost you time and money.